The dive team is another division within the Districts Technical Rescue Team and was established in 2010. It is comprised of 30 members from various communities within the district. All of our divers and ground support crew are certified as Public Safety Divers through Life Guard Systems (LGS) . The team has year round capabilities and hosts a variety of advanced skills including search and rescue, recovery, evidence recovery, ice diving, vehicle recovery and swift water. 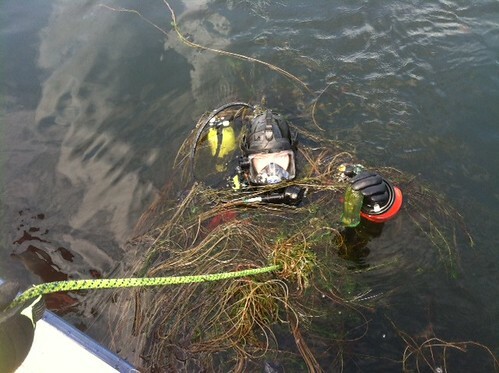 The team covers over 140 significant sized lakes and ponds, including 3 large rivers in the district. The team trains bi-monthly and is advised by a Technical Rescue Committee which is the policy setting body.